Driver Fusion 2.0 - Download Win Apps. 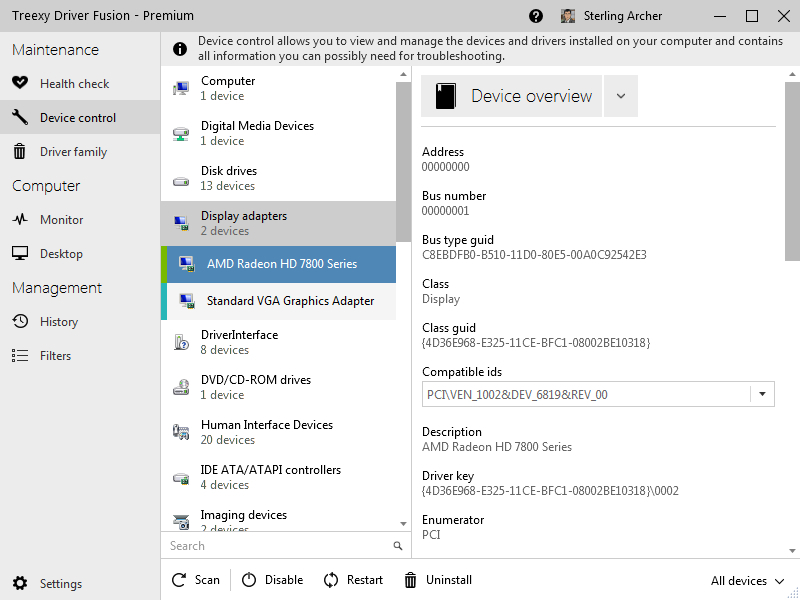 Driver Fusion - Update, manage and monitor drivers and devices..
DF is the complete device and driver solution for your PC that can manage and monitor your devices and their drivers as well as automatically update drivers. You can uninstall, backup and restore drivers and also disable, enable and restart devices while Windows is running. With our cloud-powered removal engine you can even delete the driver entries that are left behind by the normal uninstallers. Microsoft .NET Framework 4.0 or higher, any windows version (32-bit or 64-bit) and 12 MB diskspace.